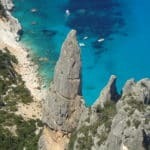 Marco, IFMGA certified mountain guide, will take you on this 8-day hike along the east coast of Sardinia, in the mythical and difficult Selvaggio Blu! 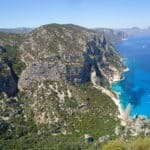 Join me in this incredible hiking trip through the wild east coast of Sardinia. 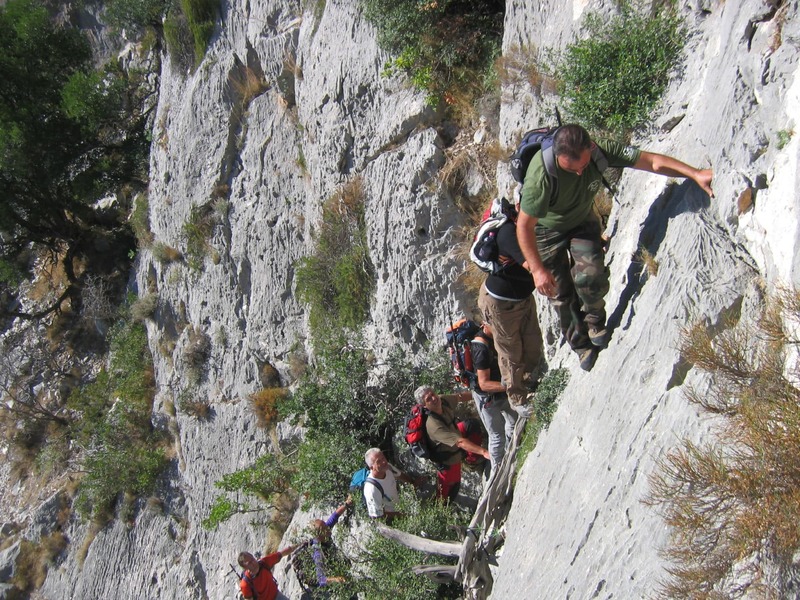 Selvaggio Blu is one of the most difficult treks in Europe. 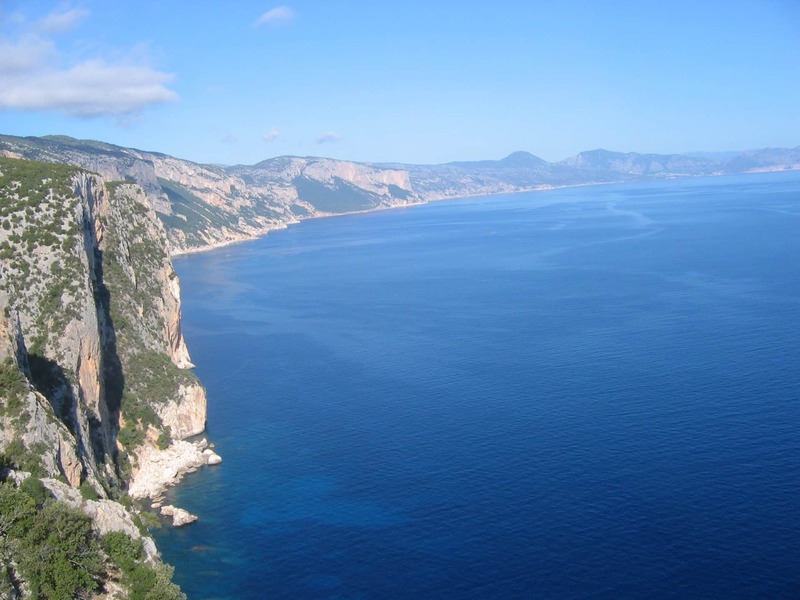 The itinerary runs along the whole gulf of Orosei, from Baunei to Cala Gonone. In fact, it’s a full immersion into the dense Mediterranean bush. We will progress among among impressive rocky walls and steep canals. These paths take us to white and golden sandy beaches. Indeed, it will be a long and challenging week. 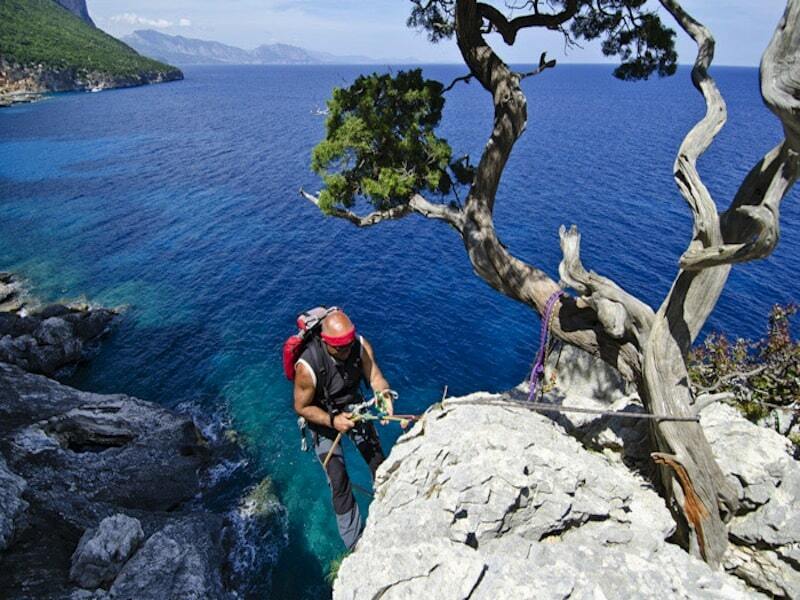 The activities include crossing the dense vegetation, rappelling by ropes and climbing through easy passages in rock. But not everything is hard work. You will also have the opportunity to enjoy a swim during each day of the swim. All of this will give us moments of intense adventure and strong emotions. 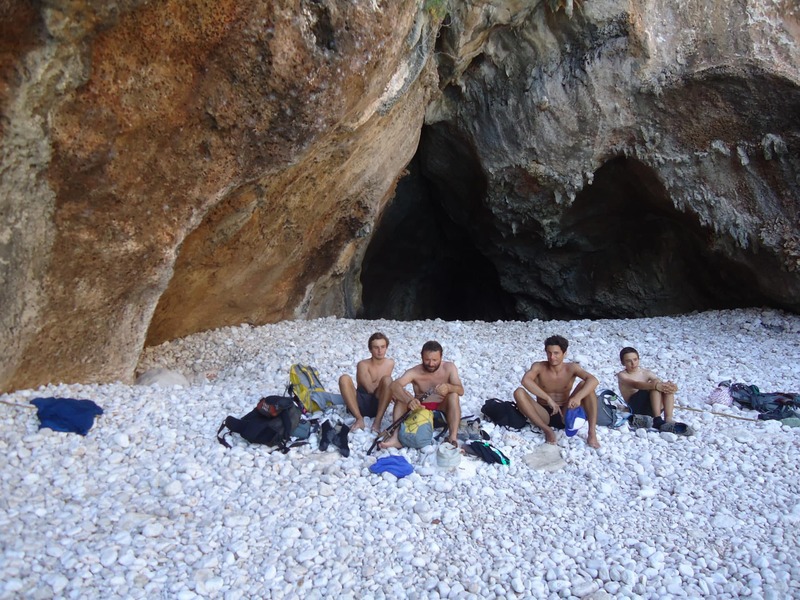 During the journey we will enjoy breathtaking views over extraordinary landscapes, and bivouacs along the moonlight shore. The trip is 8 days long, of which we will hike during 6 days. For more details please check the itinerary below. Are you tempted by this unique and challenging program? Then don’t hesitate to contact me! This is a once in a lifetime experience that we can live together. I also love hiking in the Alps during the summer. 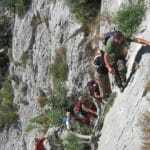 Check out this hiking trip around Monte Rosa! 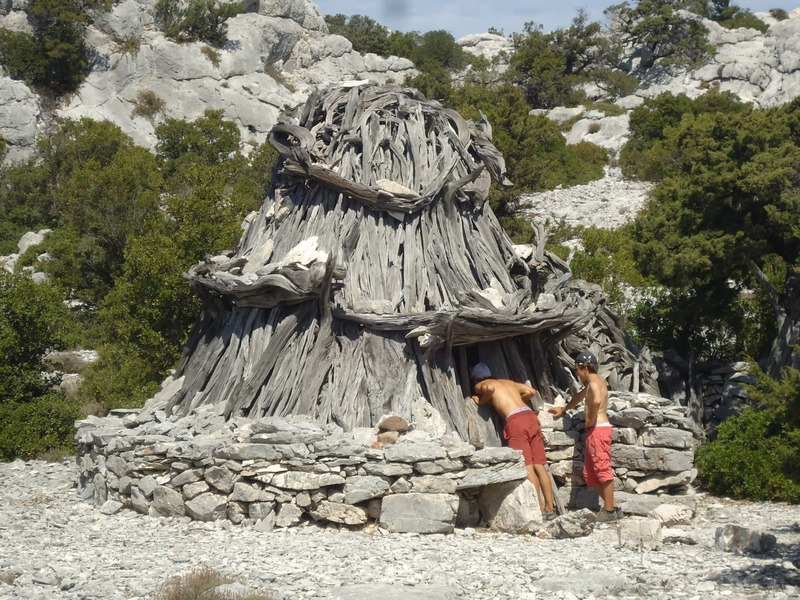 Leaving from Genova with ferry boat, we arrive in Olbia and transfer to the hut on the Baunei Mountains. Dinner and overnight. 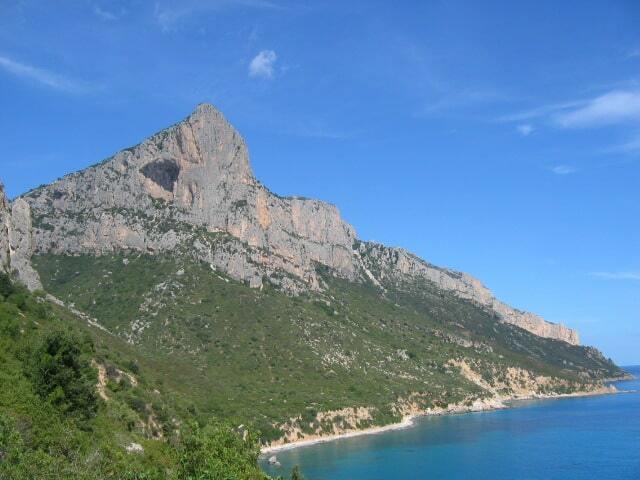 We leave from S. Maria Navarrese for the first step along the coast, (possibility to have a swim). We go through Pedra Longa and go up until Cuile Us Piggius. 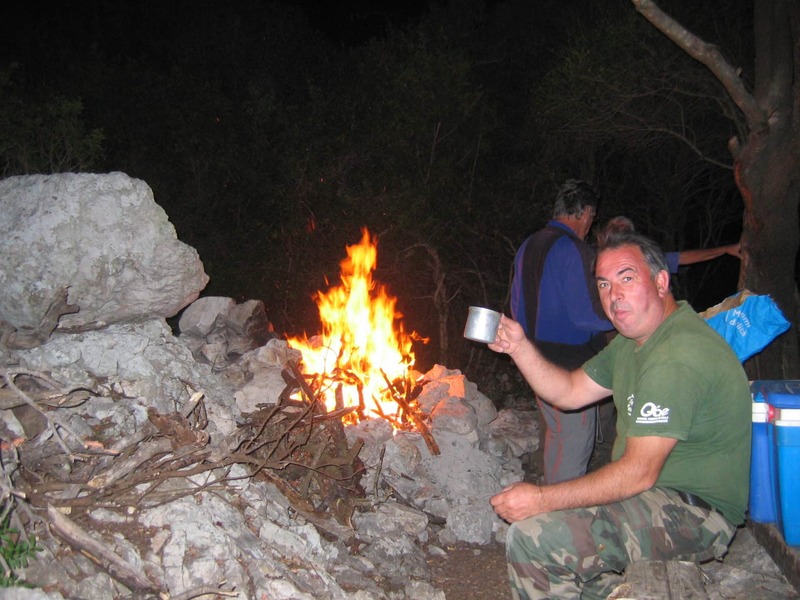 Dinner and overnight in tents. 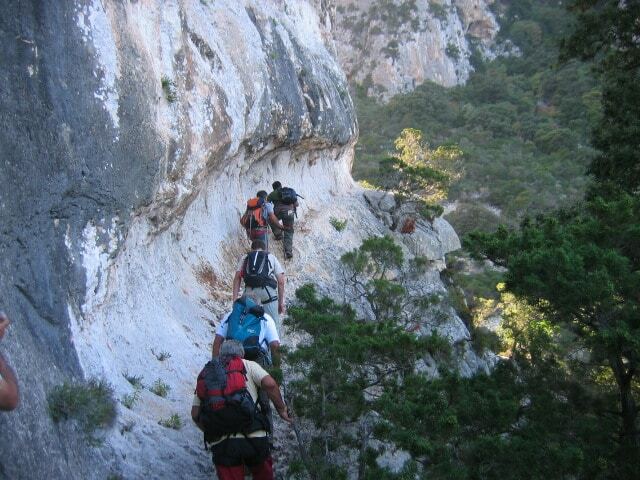 Amazing route with many panoramic views and impressive steps through juniper stairs equipped by shepherds. Dinner and overnight in tents. 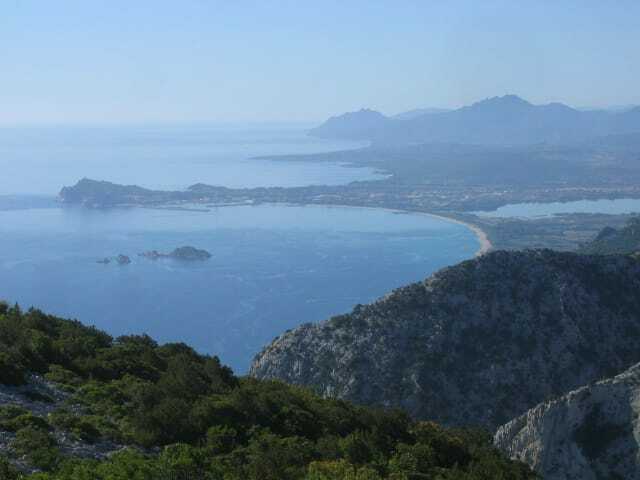 A path with different panoramic points overlooking the sea with amazing views on the Orosei Gulf and Cala Goloritzè. Dinner and overnight in tents. This is the most challenging part of the trek, but very impressive and of great satisfaction. 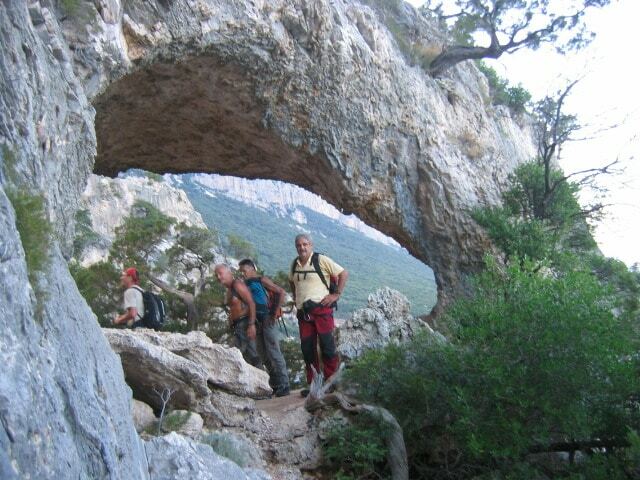 A path with easy climbing trails and 5 rappels (4 short about 15 m and 1 of about 23 m). Dinner and overnight in tents. A path with climbing trails (IV) and 4 rappels. Dinner in a restaurant, overnight in tents. A very easy path with final swim in the beautiful Cala Luna Bay. 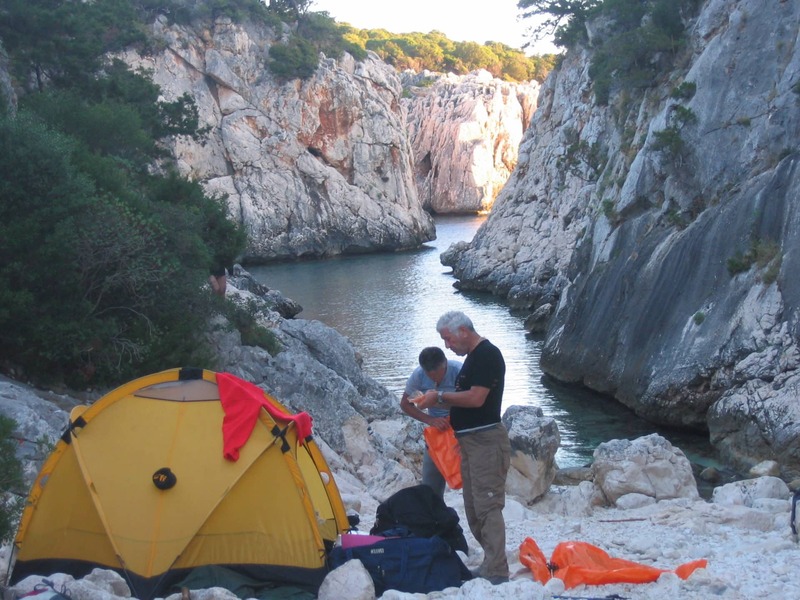 Return to Santa Maria Navarrese with boat and transfer to the mountain hut; dinner and overnight. 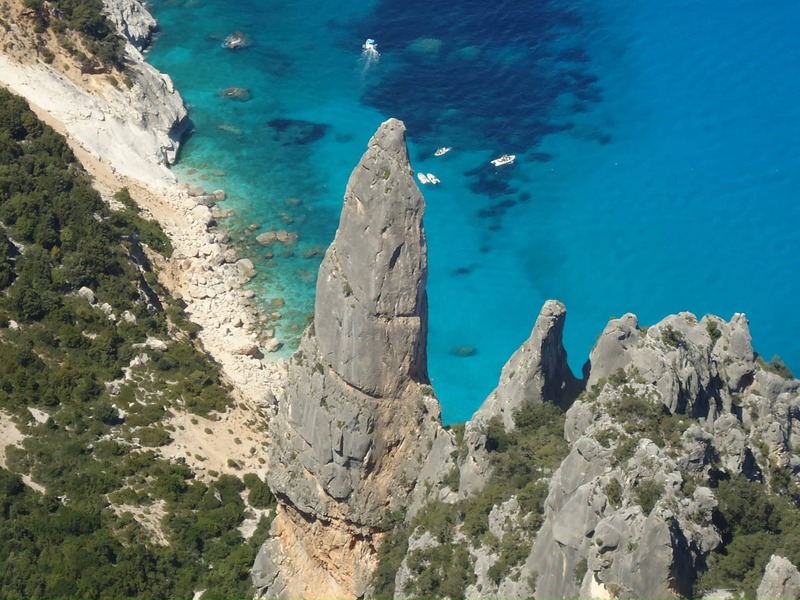 Transfer to Olbia and leaving with ferry boat or plane. - First and last day: refuge. Group size: 6 to 10 people. Lunch on the first and last day is not included. 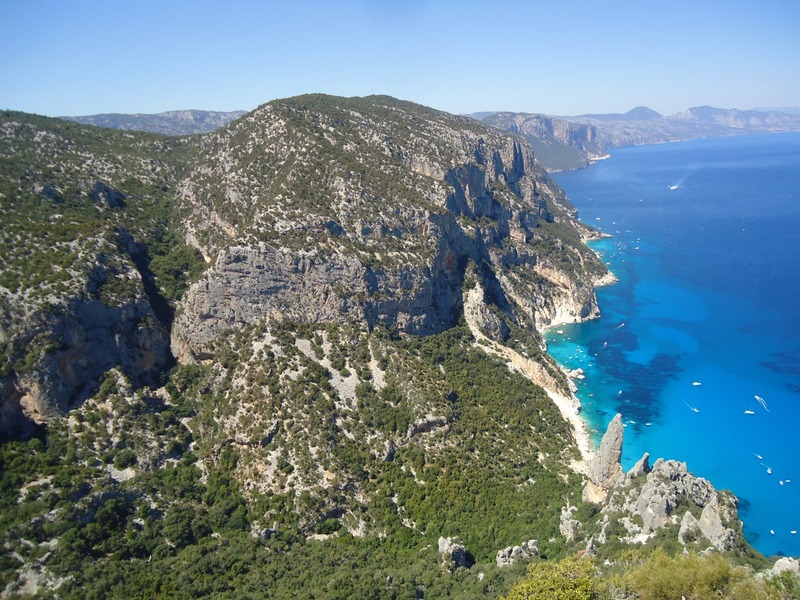 Transportation by plane or ferry to Sardinia is not included. 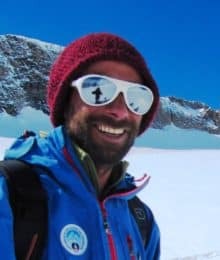 I am Marco, and I am an UIAGM certified mountain guide since 2003. 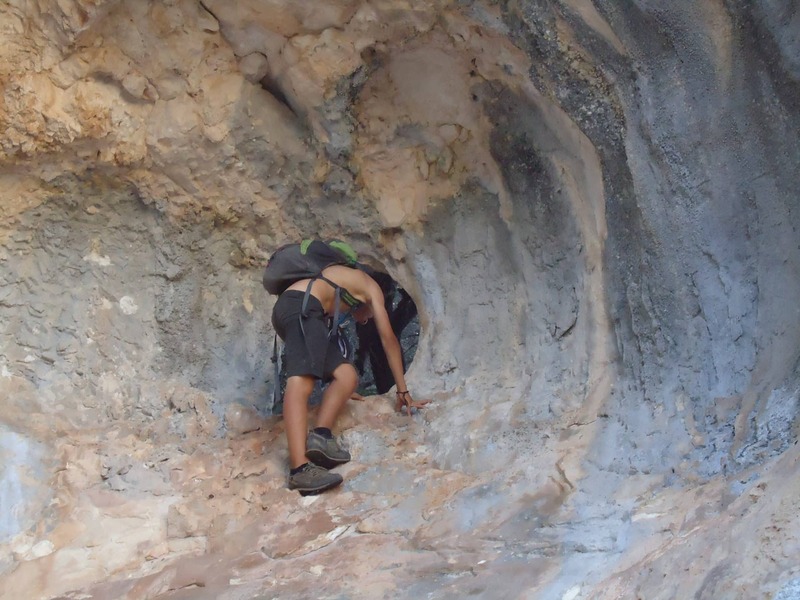 I started rock climbing when I was 14, and at the age of 20 I climbed the great Californian walls of El Capitan. Then i explored Patagonia, climbing the mythical Fitz Roy. I have also opened new routes in the Moroccan High Atlas and in the Alps. My passion for the mountains drives me to work throughout the year, looking for new adventures. 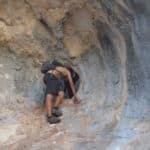 Depending on the season, I take my clients rock climbing, mountaineering, ice climbing, freeriding, hiking... Either in the Alps, since i'm based in the Monte Rosa area, or in many other countries, in different continents. The mountain as a playground has no limits!